I entered today’s townland, Ballycloghan, by walking along the Comber Greenway. At the Knock river I crossed from the Greenway’s ninth townland Tullycarnet into its tenth, Ballycloghan. 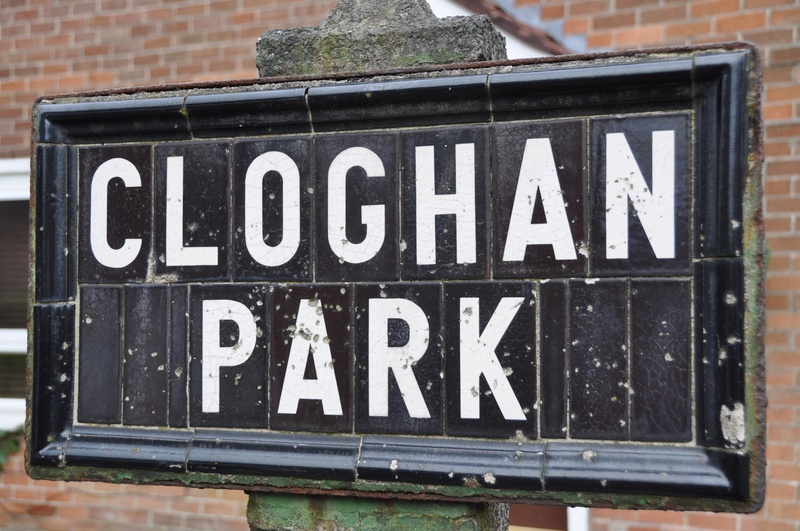 The river crossing was appropriate as the name Ballycloghan comes from the Irish Baile Clocháin meaning “townland of the ford/row of stepping stones” (see the PLACENAMESNI website). However, I don’t think the Greenway is the ford in question; and it’s quite a challenge to find the Knock river – it’s not that big! After crossing the river, the Greenway rises up to the lights where walkers and cyclists cross the King’s Road near Barnett’s Road. 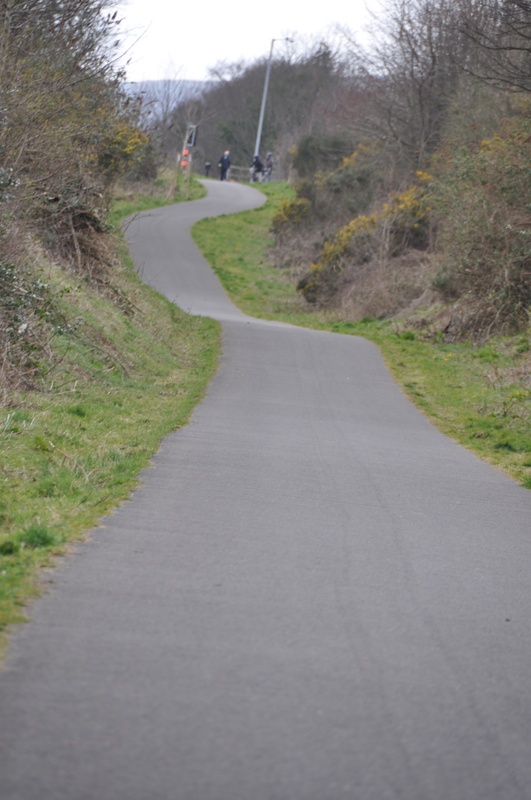 As the Greenway follows a disused railway line, the path is a mix of high embankments and low cuttings. 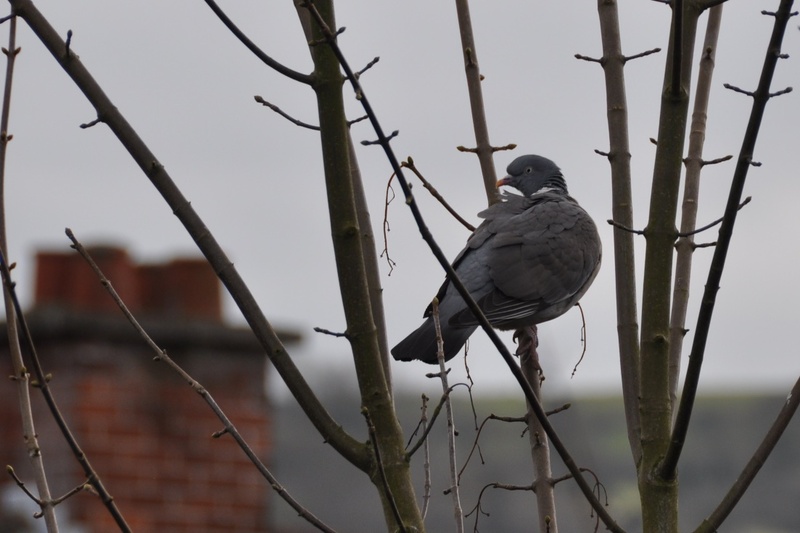 When the path rises on an embankment, you get a pigeon’s eye view over nearby houses. 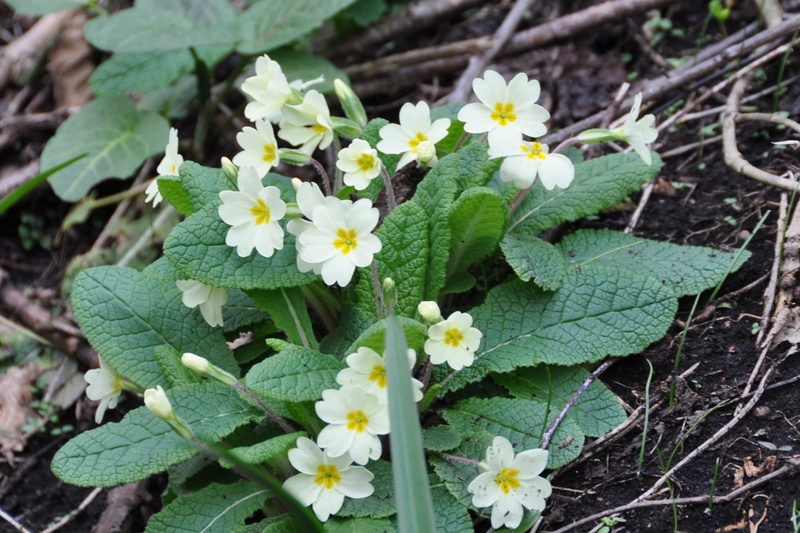 Embankments on the side of the path are a good place to spot spring flowers in April. So what else can you see in Ballycloghan apart from the Greenway? 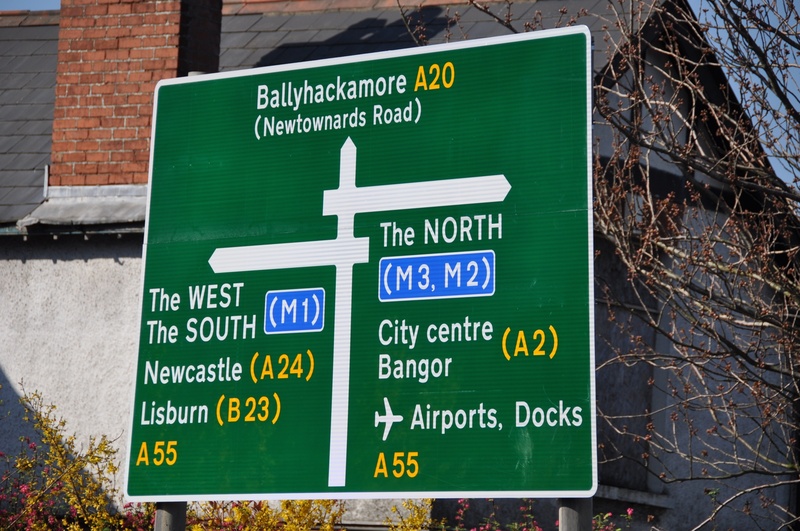 Most people refer to this area as Stormont or Knock, and it was hard to find any trace of the townland name, apart from this street sign. Instead of stepping stones, the townland is now criss-crossed by major roads. The gardens of the Stormont Estate are in Ballycloghan (although most of the buildings on the estate, including Parliament Buildings, are in Ballymiscaw). 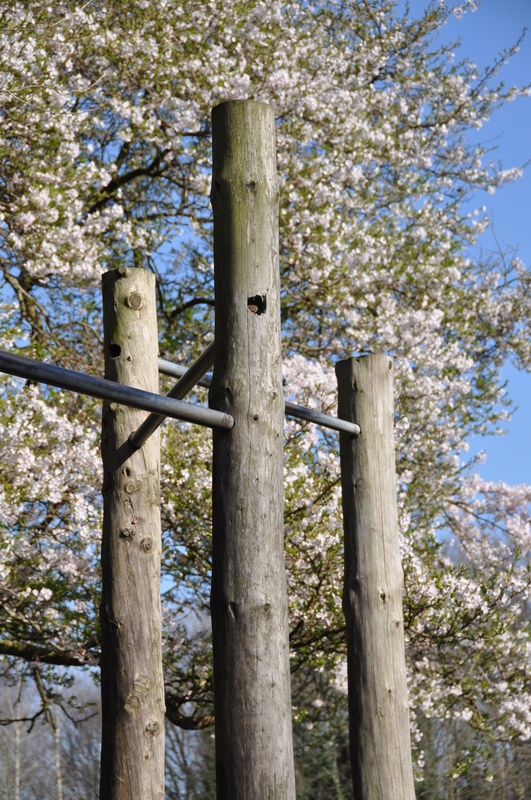 Children will love the Mo Mowlam Children’s Playground; adults may have to work a little harder to appreciate these chin-up bars, jogging path and outdoor gym. 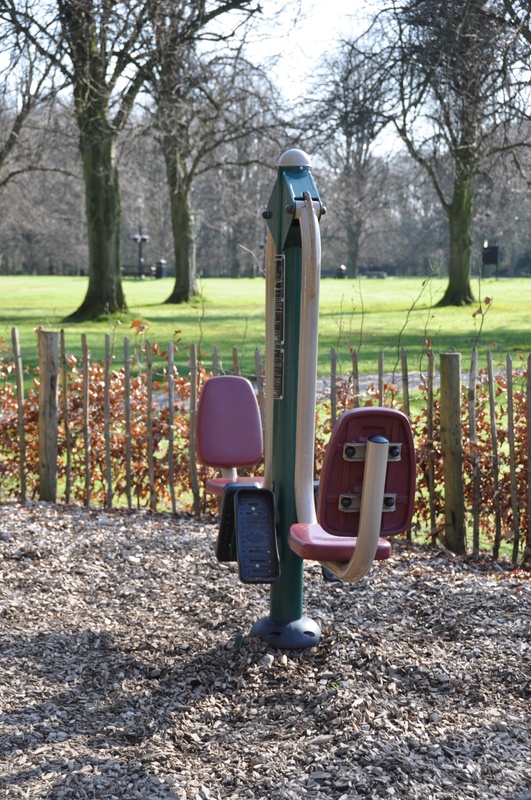 I had a go on the leg press, so I’m now fit and ready to walk to the end of the Greenway.